The Blue Revolution Radio e-Zine is published monthly and delivered FREE directly to your email inbox. Each edition features in-depth articles from some of the top radio consultants and strategists. 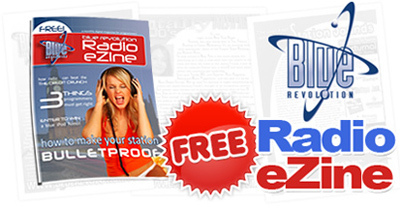 It has firmly established itself as an informative resource for today's busy radio professional whether you work in Programming, Production, Sales or Marketing. Signing up is easy and free, just fill out the form at the top of this page!